October is National Chili Month, which is perfect for fall tailgating, parties, and meals. 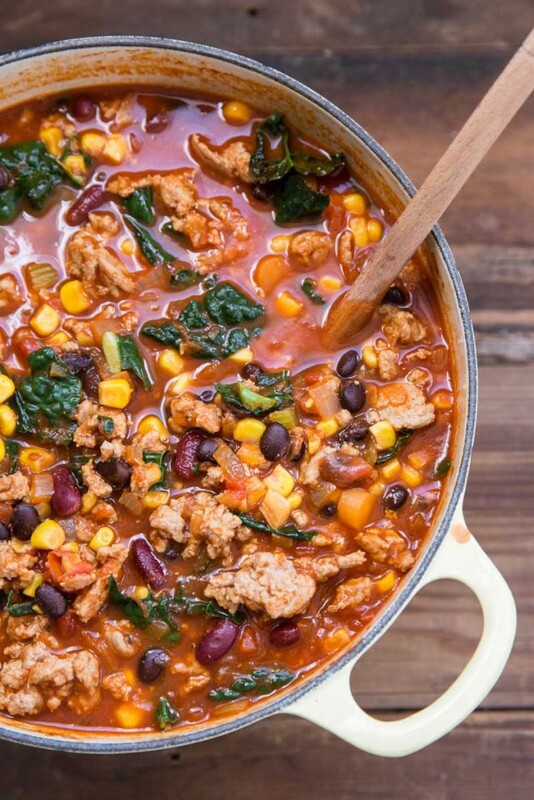 This Turkey Chili with Kale is hearty, filling, and packed with veggies. 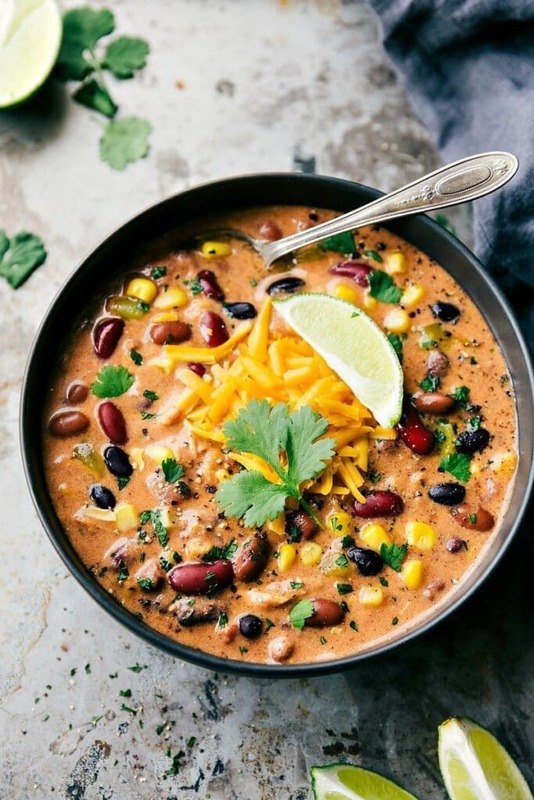 Dump and forget about this Crockpot Creamy Taco Chicken Chili until dinnertime. Use your favorite ground meat in this Crockpot Sweet Potato Chipotle Chili. This Slow Cooker Verde Chicken Chili is nice and spicy for fans of heat. The Best Healthy Turkey Chili is better for you than the classic beef version. Healthy Vegetarian Quinoa Chili is rich and filling, even without the meat. This Roasted Red Pepper Chicken Chili delivers with big flavor you’ll love.